The LCN-R1U is a relay without its own processor for flush wall mounting with a potential free contact for connecting to an LCN-UPP, LCN-UP24 or LCN-UPS. Usage on every LCN module with a T-Port connection is possible. 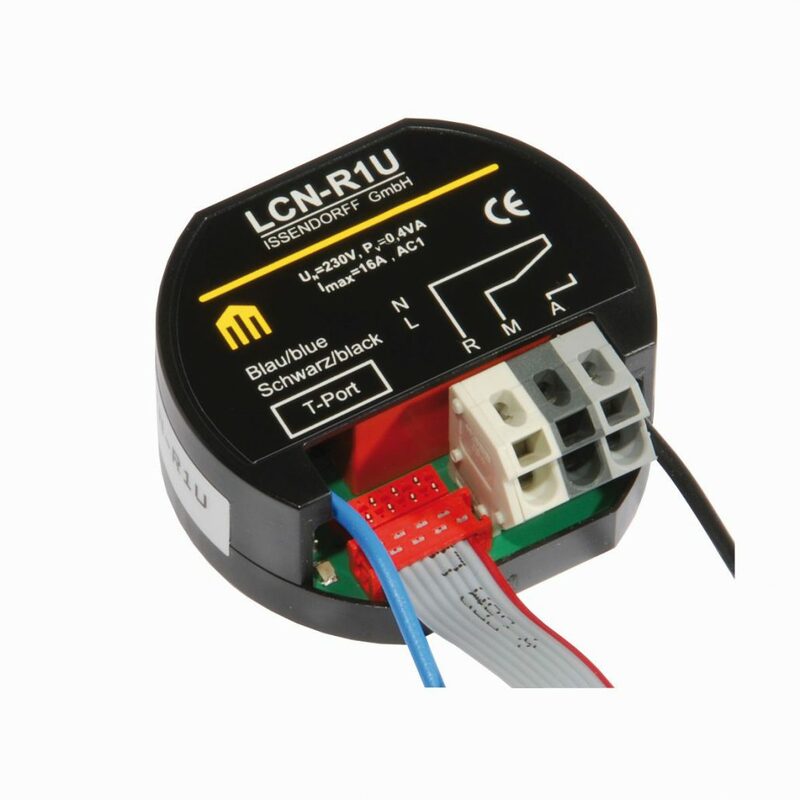 With this relay module, the user is provided with an additional switch contact for each LCN-UPP. This can especially be used for electrical socket switching or for regulating heater control drives. As well as this, two of the LCN-UPP electronic outputs still remain available for use.